Julie J. Roback began her career at Skadden, Arps, Slate, Meagher & Flom LLP, where she worked from 1994 until 1998. From 1998 until 2000 she was an associate at Diamond & Ostrow LLP. She is currently an associate with Valle Makoff. Defending Pacific Shore Funding in a lawsuit alleging sexual harassment and gender discrimination. Ms. Roback received her J.D. in 1994 from Loyola University School of Law, Chicago, Illinois, where she received two American Jurisprudence Awards and finished in the top ten percent of her class. 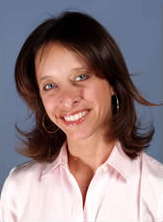 Ms. Roback received a Bachelor of Arts degree in 1991 from the University of Michigan.